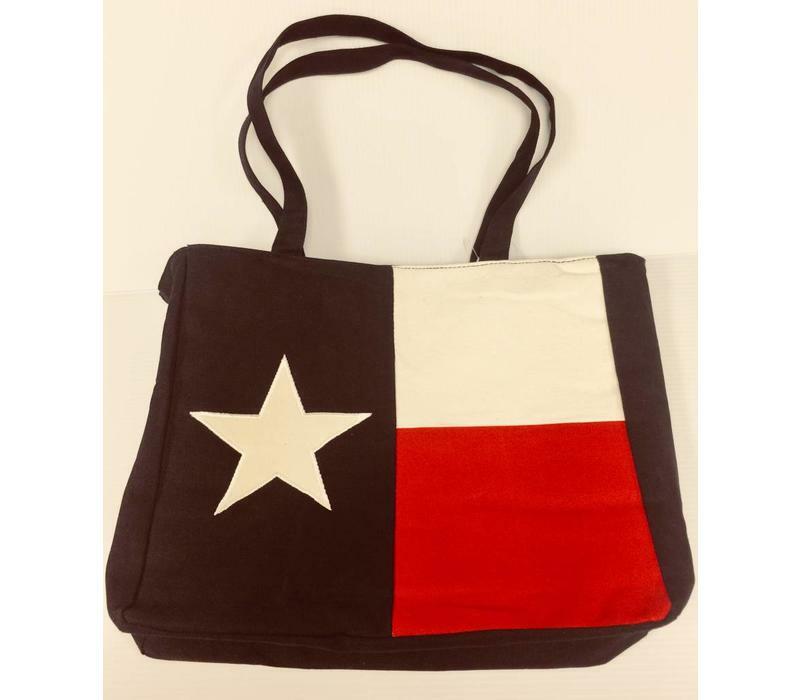 Texas Products-Tote-Texas Flag-Nice heavy duty canvas in bold colors. 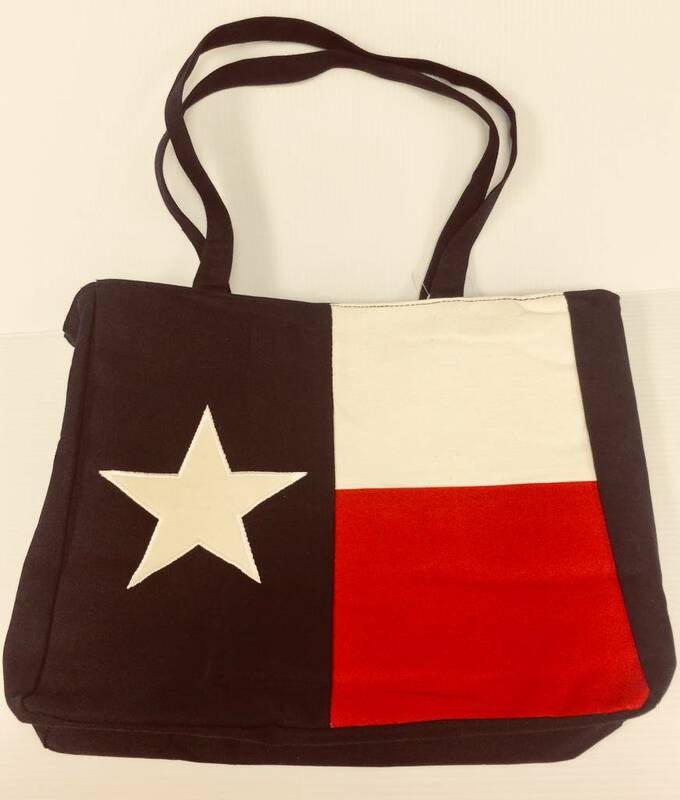 Interior is lined with a zipper pocket and tote has zipper closure. Approximate 12" x 16" x 4".